Planning regulations as you will know set at many “Use Classes” for how all building types may be used. This is to ensure that if you want to change from say a domestic dwelling for a family to another use, you can only do so under the council’s guidelines. HMO houses in Salford previously allowed single household (C3) properties to be turned into “small” HMOs (C4), that is for properties housing three to six unrelated people, without the need for planning permission. From 25th November 2018 this will no longer be the case in the central Salford boroughs of Broughton, Claremont, Irwell Riverside, Kersal, Ordsall, Langworthy, Weaste and Seedley and the wards of Barton and Eccles. Following a debate last year it was decided that small family dwellings that were to be turned into HMOs for students or professional to rent together, would now require the council’s planning permission. Houses in multiple occupation (HMOs) can be defined in a number of different ways, but broadly speaking they are considered to be properties occupied by unrelated individuals who share basic amenities such as a kitchen or bathroom. The traditional source of HMOs tends to be larger, older family dwelling houses. In cities such as Salford and Liverpool these properties are very popular with students who often prefer them over lage student halls. They generally provide a cost-effective option for student accommodation and allow for simple letting agreements that last for 12 months and that can then either be renewed or the person can leave the property. Mandatory licensing of larger HMOs was introduced in 2004 for those with 5 or more tenants and 3 or more stories, so you cannot simply turn your own property into a HMO rental property without properly complying with the wide range of legislation that landlords need to be cover. Each council can have its own set of rules and for Salford all HMOs must adhere to the council’s HMO standards. These standards cover things like minimum room sizes, amenity standards and fire safety requirements. Landlords themselves who manage HMOs are also covered by legislation and this legislation places certain duties on the individuals managing the property and no compliance with these regulations may result in a prosecution and/or fine (including a civil penalty). If you are considering an HMO investment property either to source, renovate or to manage then Mistoria Group can assist you. 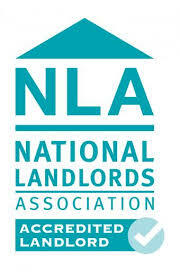 We are the North West HMO experts with over 1200 rooms currently under HMO rental agreements. Cash yields can be high as 13% (both rental and capital) so please call 0800 500 3015 or email us at info@mistoriagroup.com as your next step.